Penelitian - Homing pigeons use local natural odours to find their way. Reproducibility study disproves a popular hypothesis about how pigeons successfully return home, homing pigeons use familiar smells to navigate their way across hundreds of kilometers of unfamiliar territory. Researchers have now confirmed that artificial odors cannot be used to stimulate or trigger a pigeon’s navigation system. This means that the so-called olfactory activation hypothesis, which has been proposed by some researchers, should be disregarded. The researchers set out to test the olfactory activation hypothesis proposed by a team of Portuguese and American scientists in 2009 and 2010, by using similar steps and methods. 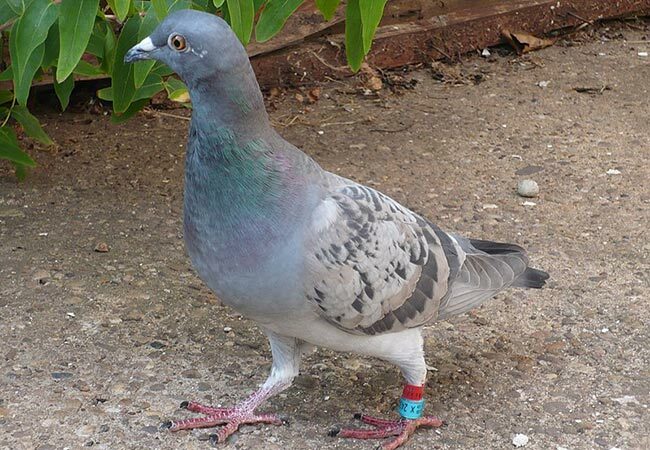 In order to replicate the study, Anna Gagliardo of the University of Pisa in Italy and colleagues used 63 adult inexperienced pigeons that were allowed to perform spontaneous flights in their home area. “Even the movements recorded on the first day of our test showed that only those birds exposed to natural environmental odorants were able to orient homewards,” Gagliardo says. The birds were divided into three experimental groups then each fitted with a GPS-tracking device, and released singly 53 kilometers from home. The first group was transported in open crates and released without manipulation. Pigeons in group two were carried and kept at the release site in airtight containers ventilated with natural air before they were released. The third group also travelled in an airtight container, with the air filtered to remove most of the natural odorants it might contain. During their travels and before their release, the birds in this group were exposed to the scents of lavender, eucalyptus, rose and thyme. Prior to their release, the nasal cavities of the birds in the second and third groups were washed with a zinc sulphate solution in order to make them temporarily unable to smell. There was a noticeable difference between each group in terms of how well the pigeons could navigate. As expected, most of the unmanipulated control pigeons found their way home successfully. By contrast, the majority of the pigeons in each of the other two groups was impaired at homing. However, an interesting difference emerged between the two groups released under anosmic (smell disrupted) conditions. The birds exposed to environmental odour cues performed significantly better than the birds stimulated with artificial smells. “The birds that were stimulated with artificial nonsense odorants prior to their release were not able to orient in the home direction and flew significantly shorter paths on the day of release compared to the birds allowed to smell natural air both during transportation and at the release site,” says Gagliardo. “Our tests with GPS tracking experiments provided further evidence for the critical role the sense of smell plays in avian navigation,” Gagliardo says.